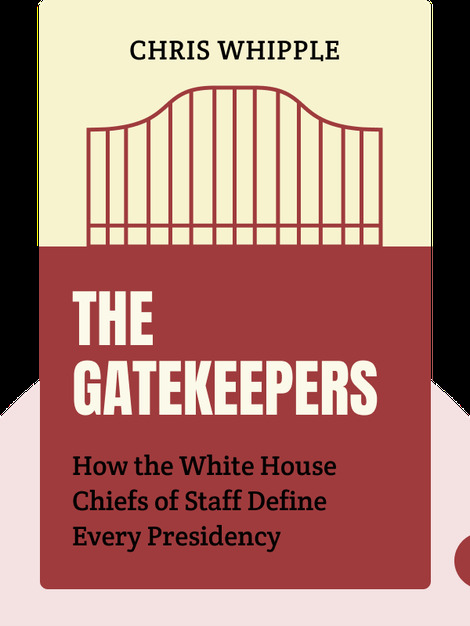 The Gatekeepers (2017) challenges the standard view of the US government. To most people, the United States is embodied by its president. After all, it’s he who appears on all the TV screens. 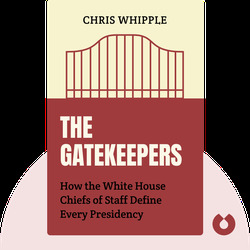 But the mechanics of the executive branch means there’s a key figure who’s too easily forgotten: the chief of staff. It’s his responsibility to control who or what reaches the president. Chris Whipple traces the history of the best – and the worst – of these gatekeepers. Chris Whipple is a Peabody- and Emmy-award-winning author, documentarian and journalist. He recently wrote and produced Showtime’s The Spymasters: CIA in the Crosshairs.